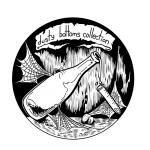 Our Barrel Culture™ shirt features original, hand-drawn illustrations of a fermenting barrel, and the four horsemen of mixed-culture fermentations: Sacch, Brett, Lacto & Pedio*. 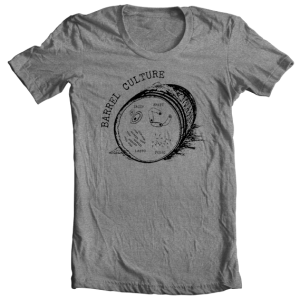 Make no mistake: Once you wear our brand new Barrel Culture™ T-Shirt, the world will never doubt that your wild microbe geekery is at an epic level. 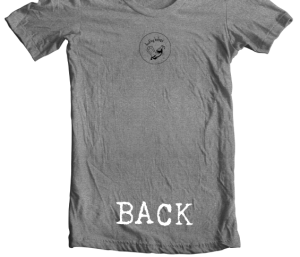 The shirt is a dark, heather gray super soft cotton-blend. Men’s/Unisex sizes are Small through 3XL, and Ladies Small through XL.